Exchange program between the US and China, bringing environmental education practitioners from across China to the Chicago region to explore and share ideas about how best to communicate the importance and value of the environment and research. 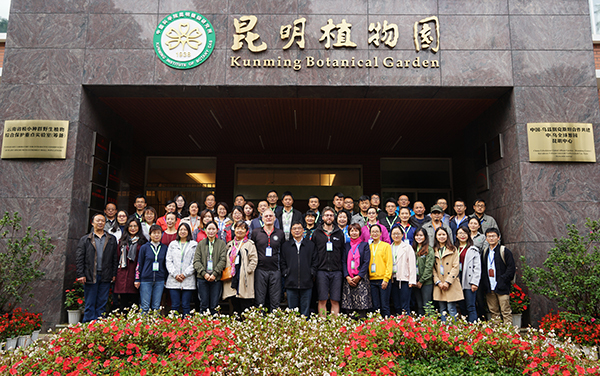 The Chinese Union of Botanic Gardens is sponsored by Chinese Academy of Sciences (CAS), State Forestry Administration, and Ministry of Housing and Urban-Rural Development, is a public organization for strategic cooperation among Chinese botanical gardens and arboreta. In 2016, as part of an annual workshop on Environmental Education Research that recruits professionals and scholars from across China, three top participants from this workshop received a fellowship to travel to the Chicago region. During this 3-month fellowship, scholars will work with educators and scientists at the Morton Arboretum, the Chicago Botanical Garden, and the Chicago Zoological Society. They will also tour other institutions in the Midwest to gain a better understanding of the US, especially on the subjects of environmental education and science communication.